Music is goal and mean of many social-artistic projects all over the world, especially in South America. We come from different countries: Switzerland, Italy and Argentina. 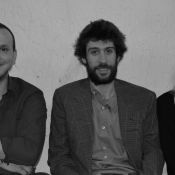 We are three young people, with experience in social-artistic projects, with attitude and enthusiasm about play music and propose music in different ways. We decided to create a cultural centre in Argentina, in the city of Mar del Plata, where there are the perfect conditions for this project. Our purpose is the creation of a high level artistic proposal, which is also a social-cultural space for the city. The coexistence of different worlds, languages, people, objectives and cultures is the added value of this project, as an education centre and as an artistic one. What is MIZAR Cultural Centre? It would be a social-cultural space for the city, deeply democratic, popular and innovating in the means and methods, with a high level artistic proposal. In the city of Mar del Plata, Provincia de Buenos Aires, Argentina. When we’ll start the activities? Now! MIZAR Cultural Centre is open since October 2015 and it started its activity with a full calendar of concerts, lessons, events and workshops. We had a good participation in our activities and a large number of people that want to collaborate with us, make lessons or participate in concerts and events. Three people are working daily in this centre, practising for the concerts, organising lessons and events, managing the good evolution of the centre and its finances. To be able to start, we made a personal investment of money in the starting rent and material necessary to open and promote. The amount of the rent is almost 700 CHF. We have covered it until December thanks to private donations. With a full working of the centre we are able to cover the rent and become economically indipendents, but in this first year we need a help. With this funding we would like to generate additional CHF 5’000 to cover the rent of the centre from February 2016 to September 2016. With your donation you can support the good continuation of MIZAR cultural centre, and in this way, by assuring the rent, also the quality of the proposals.